And while the responses have been mostly positive (“Yes mothercare!! This is exactly what I want to see as a new mum!!! !” comments @sophiespiegler on Instagram; “Love these photos. I’m 57 and have four children. 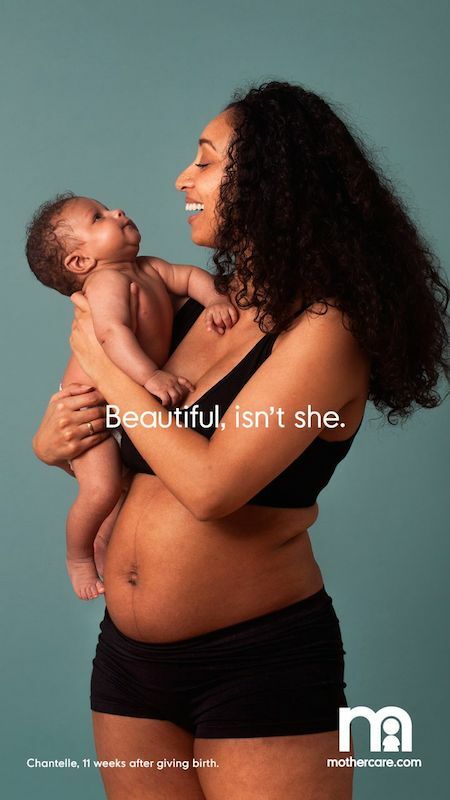 I wish I had seen photos like this in my thirties so that I would have know I was normal and BEAUTIFUL!” comments @soup_an_yay) there has been a small but searing backlash against the campaign. And the criticism is coming from some unexpected places: Writer and mother Tracey Clark-Foy took aim at the campaign in a recent piece she wrote for Jezebel (where she is a senior staff writer) and, as these things go, opened a floodgate of cheers and jeers in the comment section. 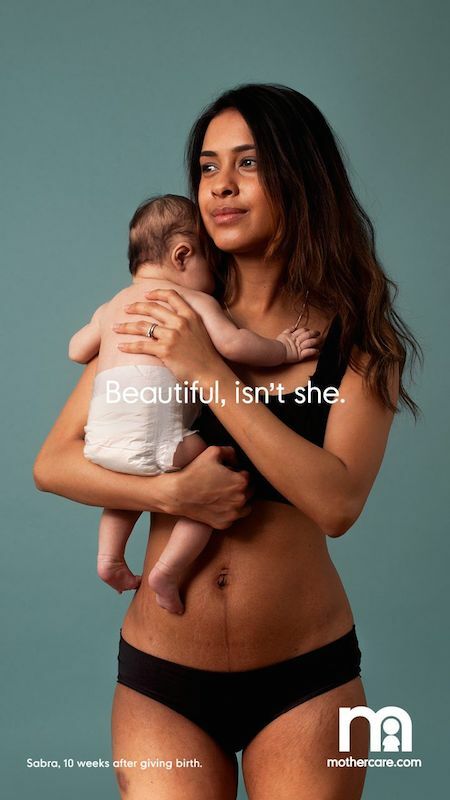 So, while no one should ever conflate corporate marketing campaigns for charity work, it’s refreshing to see companies making choices to be more inclusive and hopefully try and undo some of the damage done by decades of presenting a whitewashed ideal of womanhood. Click through the slideshow below to view all the images for yourself. 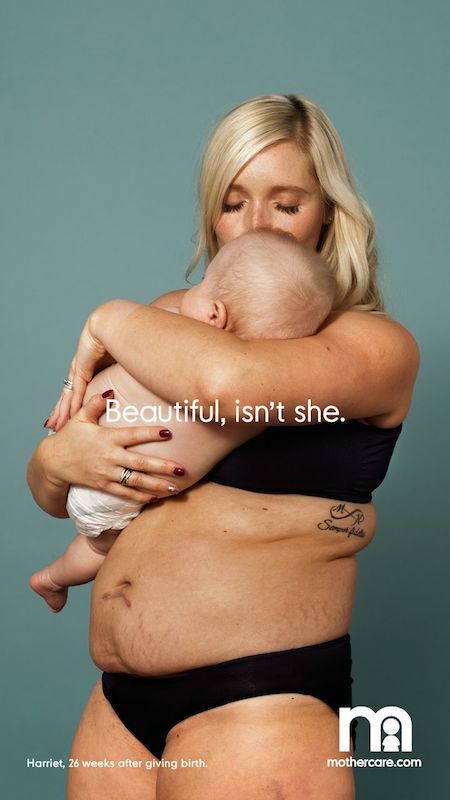 For more thoughtful reads on the body politics of mothers, check out these words from real women on their changed forms, a first-person essay on what one mom didn’t expect after expecting, and read up on maternity brand Storq’s decision to no longer alter its photos. "I feel ok about my body, but I would be lying if I said I was 100% happy about the way it looks right now but that's more due to fitness than anything else. During pregnancy I adored my changing body, I loved my bump but did worry about how it would all change once I gave birth. 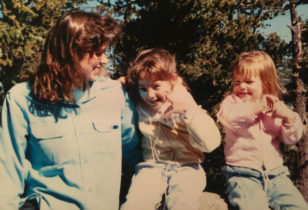 Once I did give birth, I felt like my old body had died, my confidence was on the floor. 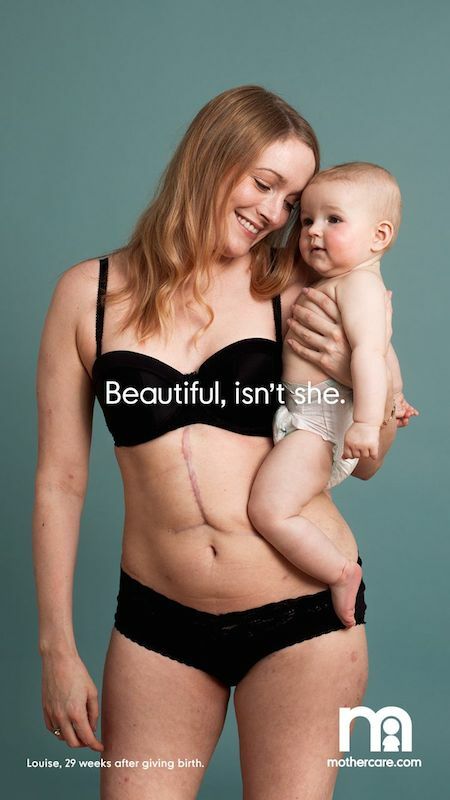 I had endured my first operation of my life in order for my child to be born so I was scarred, my stomach was lined with angry looking stretch marks and my belly felt and looked like a popped balloon. I was devastated and didn't think I would feel that way at all. It took several months for me to even let my partner see me naked, I can't believe I felt so ashamed. Now, I’m learning that this is the new me. My stretch marks are going nowhere and nor is my scar, they are reminders that without them I wouldn't have my son. I can always lose the excess weight, but for now I'm too busy enjoying my boy." ”I actually love my body. It has done the most amazing thing, and I acknowledge and honour what it has created for me. Any marks left are a welcome reminder of our journey. I was very lucky and had what could be regarded as the ideal pregnancy. I have fibromyalgia, and the hormones from pregnancy made all my pain go away, which was even more amazing for me. The best part of being a mother is seeing my baby’s happy little face each morning. I love the way he looks at me, like he knows how much I love him and he feels safe with me." "I am not a fan of my new body. Before birth I was muscular and worked out a lot. Now I don’t have time to work out and everything feels saggier! I didn’t expect to feel suddenly so old and droopy! I know it will come back with time and dedication to exercise again, but right now all I want to do is cover up with baggy clothes. Every day I feel pressure to bounce back. Society, social media, people’s comments all make you feel that way. All over social media it shows these perfect bodies saying they’ve had children and now bounced back so quickly. I myself remember being really surprised when Kate Middleton came out of the hospital holding Prince George. She had the baby bump, and I remember being surprised that your belly doesn’t just go down after giving birth. I also thought how stupid I was to have ever thought it would. I guess pre children you just have unrealistic expectations. I also put pressure on myself to try and get my body back, but as I slowly transition into motherhood I am realising that it’s actually not that important, and I just need to be OK in my own skin rather than worrying about what everyone else thinks." 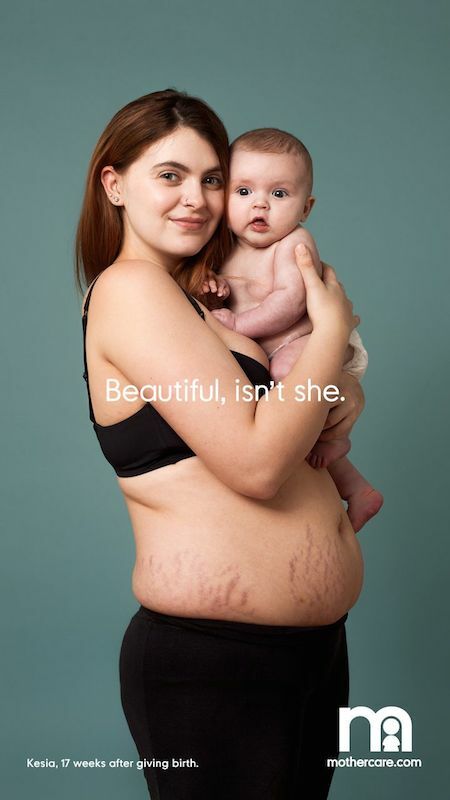 "The inspiration behind being part of this project is to show those around me that stretch marks and weight gain don’t define us, that we should embrace our strength and beauty. I am a young mother with many influential people around me, and together we can see the beauty of motherhood. I have always loved my body no matter what, and my friends would look up to me for that. Pre-pregnancy, I had nice curves and my skin was smooth. 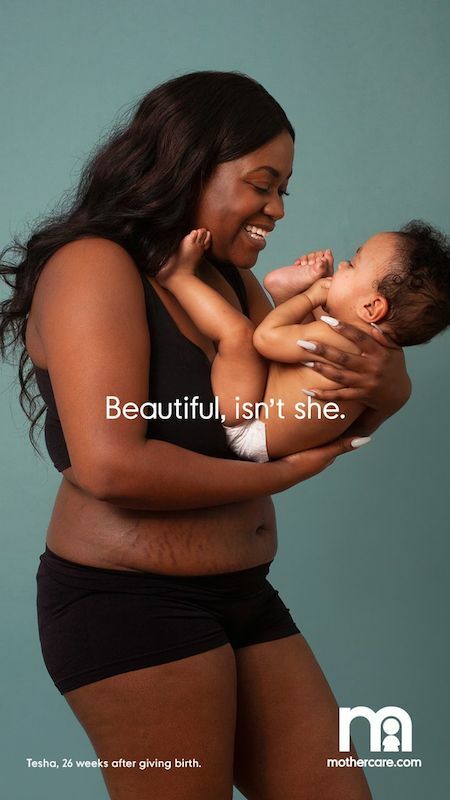 During pregnancy my body changed dramatically, not just in weight but also my breasts and skin, in the ways that aren’t considered to be beautiful. I’ve seen people on social media bounce back significantly and speedily to their pre-pregnancy weight, so of course I feel the pressure to do so too. I have found it difficult to see my body in the same way, but as the days go by, I am a few steps closer. I didn’t expect my body to change as much as it did, but I would most definitely do it all over again." 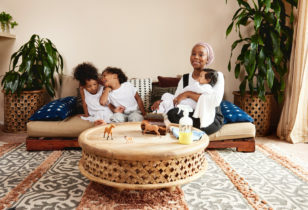 "I always knew my body would be different after giving birth, however, I didn’t expect my mind to take so long to get used to seeing myself. I was never 'skinny' but I put on more weight than I thought I would. A lot of friends had babies close to me and they post online about their bodies, and I do feel upset sometimes that I haven’t bounced back in the same way they have. I know every woman is different and I am not as hard on myself anymore. I wanted to take part to show people that it is normal to look like this after having a baby. I want to show the baby is more important than the marks!" "Being a mum of six is a blessing and knowing how my body has changed in the last 7 years is really amazing in so many different ways. Hard work to grow a tiny human, and then going back to normal full time function deserves a celebration, and gratitude towards my body. So when I heard about the campaign I felt inspired to be a part of it, regardless! I don’t measure up to what society tells me should be the ideal. I feel people need to put less pressure on mums to go back to their previous bodies before the babies and worry about their overall health mentally, emotionally and physically, to live a fulfilling life in order to give love and care for the new life. I’m happy with my body, and only have an umbilical hernia that needs to be repaired due to my twin pregnancy, but other than that maybe I need to exercise when I get more time, as I need more energy to look after my six children. I don’t feel different after giving birth—I feel the same and feel happier even though I gained lots of weight afterwards. It’s rewarding to be able to produce fruits and look after them!"